A year ago we had a debate here on the blog about the Obama Administration's decision to kill suspected terrorist Anwar al-Awlaki. Emphasis is placed on the word "suspected" because we will never know if he did, in fact, commit any terrorist acts against us. Why won't we know, you may ask? Because we never got a chance to ask him. We never took him to court. Indeed, he was never even so much as formally charged with a crime. We just suspected that he was up to no good, and then we killed him. No judge. No jury. Just straight execution by drone. Normally we wouldn't care whether or not terrorists are charged with any crime. After all, they're terrorists, and as such they are the scum of the Earth. They're less than scum. They're whatever substance is beneath scum. In this situation, however, there was one small problem: Anwar al-Awlaki was a United States citizen. Well, ladies and gentlemen, that means that Anwar had every right that you and I have under the United States Constitution. That includes the 5th Amendment right to Due Process of law, and a 6th Amendment right to be formally charged with a crime, to have the opportunity to confront your accusers (the government) and the right to have an attorney help you in your defense. These are the rules that we all agreed upon by proxy way back in 1791. They haven't changed. If you don't like 'em, then amend 'em. But until you do, they are the law of the land. During our debate on this topic, a few of us took the position that this was an unconstitutional execution in clear violation of Due Process of law. Some of us, however, took the position that in extreme circumstances (ie. where we know that the U.S. is facing an imminent threat by somebody who is about to attack us) then we have the right to protect ourselves and our fellow countrymen. In support of this position, an analogy was made to the situation where a bank robber engages in a shoot out with the police in a crowded bank. In that situation, few would disagree that the police have an obligation to kill the bank robber if it becomes clear that said bank robber is intent on doing harm to others. I'm sorry, I was all the way over here across the room. Did you just say that the U.S. government can kill American Citizens who are NOT engaged in an active plot to attack the U.S.??? As in, American Citizens who pose no imminent threat. I need a moment to wrap my head around this one. Let's go back to the bank robber scenario. So, under this legal memo [which you can read here], you're saying that instead of killing a bank robber under circumstances where the bank robber is actively shooting at police officers and other innocent civilians, Police Commissioner Gordon can simply tell his officers to go shoot the bank robber while the bank robber is at home in his bed sleeping because Commissioner Gordan has determined that the bank robber is not a nice person. Please tell me I'm not the only one who sees this as a problem. Dear Obama Administration, do you understand what Due Process means? No, I don't think you do here. Not this time. Due Process of law means that we give every U.S. citizen their day in court -- even the ones who hate our guts. Due Process means that the government follows the rules and does not carve out exceptions to the rules when it inconveniences them. Due Process means that a person could walk up to a referee in the middle of the superbowl and shoot the ref in front of 100 million witnesses, but so long as he drops his gun and turns himself in right there on the spot we don't get to lynch mob him. Instead, we arrest him, take him to court, and convict him of the crime that we all witnessed him commit. In that scenario I'll gladly volunteer to be the first witness for the prosecution. 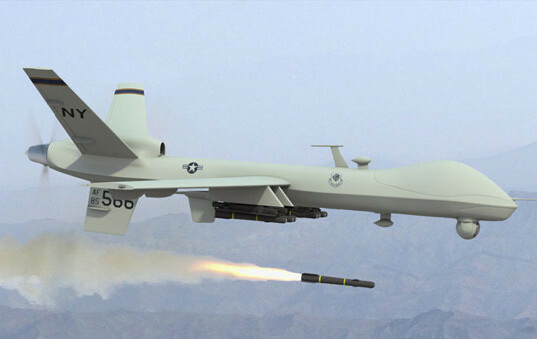 But I cannot condone what we're doing with these drones strikes when it involved American Citizens. Especially in light of this new memo which gives such a broad definition to the term "imminent threat" that it effectively renders the word "imminent" meaningless. Are we justified in killing American Citizens at any time if we think they may harm us some day?